Subway is based upon the Metro UI theme used in the Windows OS. 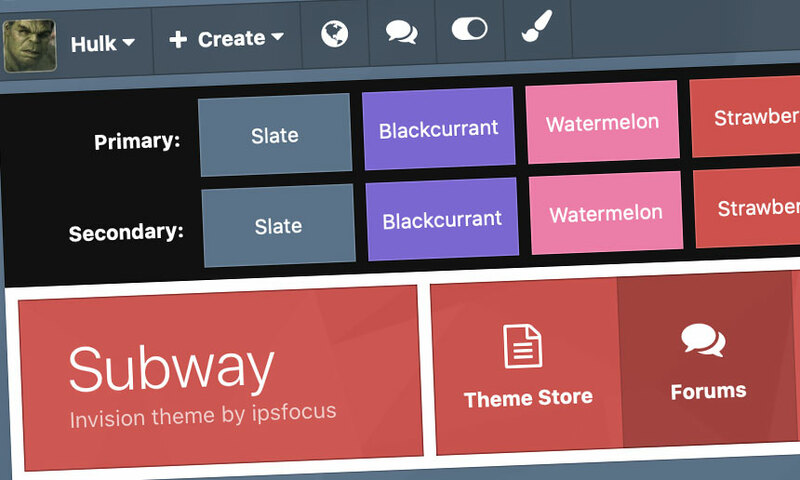 It features a simple colour scheme changer, allowing your members to choose their own colour and pattern combination from a preset array. Perfect for any community, very easy to set custom default colours and even easier to add/replace the existing colours with your own! This theme is built on a modern framework with minimal HTML modifications, which means it'll upgrade easily (and usually automatically) between IPS versions.